List of Current Chief Ministers of Pakistan 2018 Mcqs. 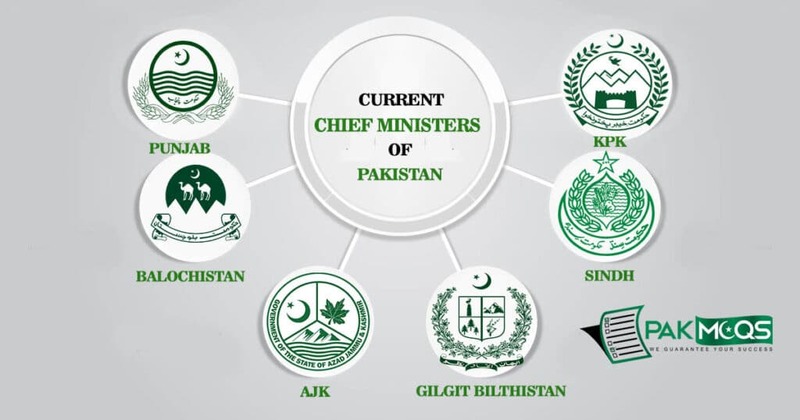 CM Balochistan, CM Khyber Pakhtunkhwa, CM Punjab, CM Sindh, CM Azad Jammu and Kashmir (AJK), CM Gilgit-Baltistan. Who is the Current Chief Minister of BALOCHISTAN? Who is the Current Chief Minister of SINDH? Who is the Current Chief Minister of KHYBER PAKHTUNKHWA? Chief Minister of Gilgit-Baltistan is? Who is the Current Prime Minister of AZAD JAMMU AND KASHMIR?